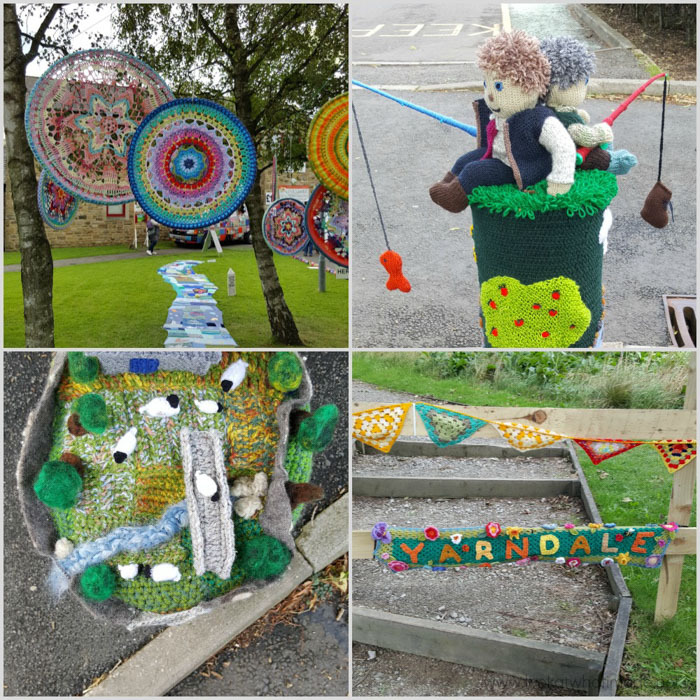 Before you read this post, you might want to read the newsletter I wrote about Yarndale last year. You can find that HERE. 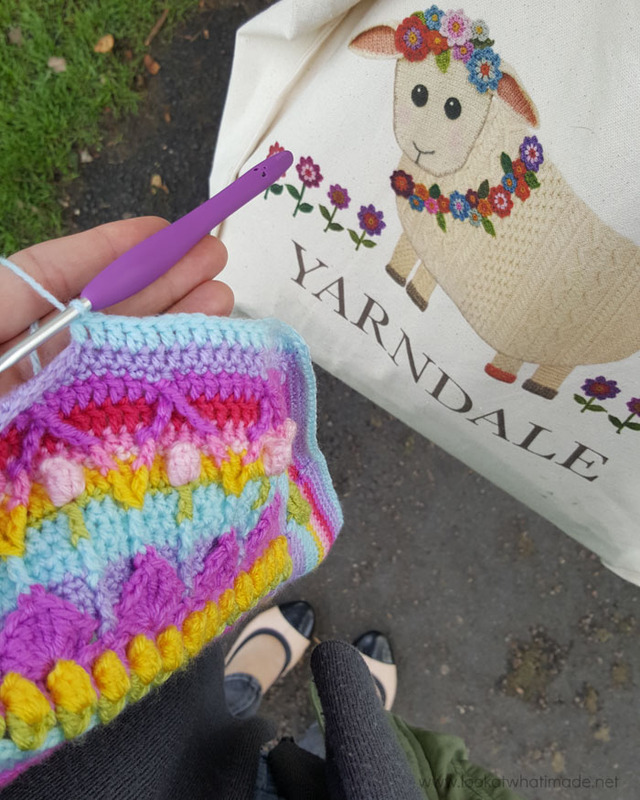 The trips to and from Yarndale were quite an experience. In the way that ‘disasters’ always make for more vivid memories, I can still recall every moment of both trips. 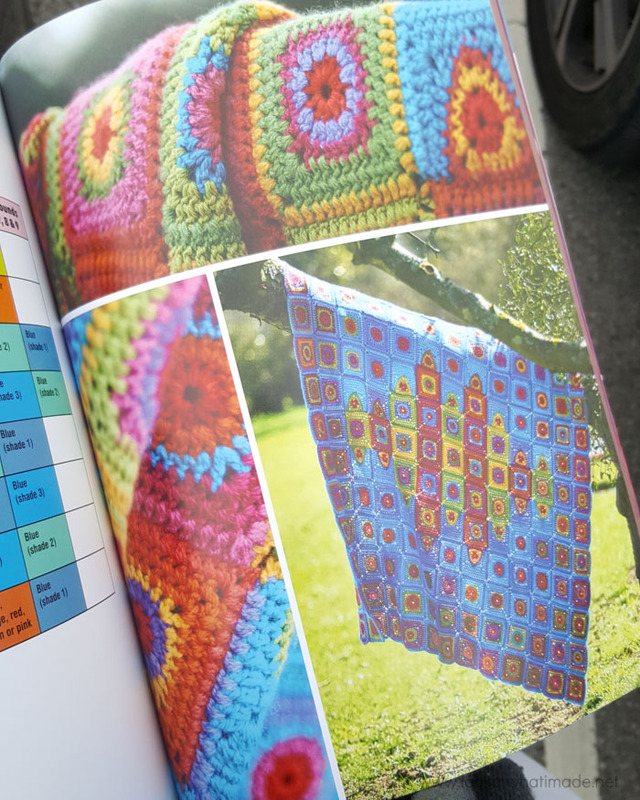 The one thing about the trip to Yarndale that didn’t go pear-shaped was that I got to flick through Amanda Perkins’ book, Rainbow Crocheted Blankets, before the throng at Yarndale got to! The perks of knowing the designer! 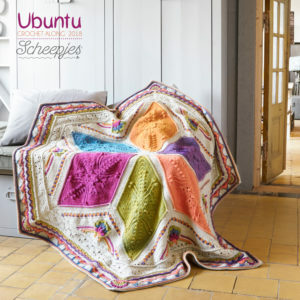 Amanda’s blankets are striking, colourful and unique! 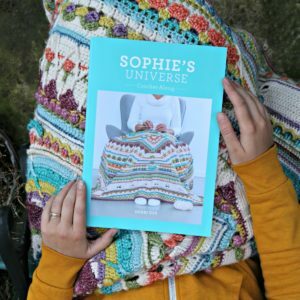 You can buy signed copies of her book HERE on Etsy (UK terms). 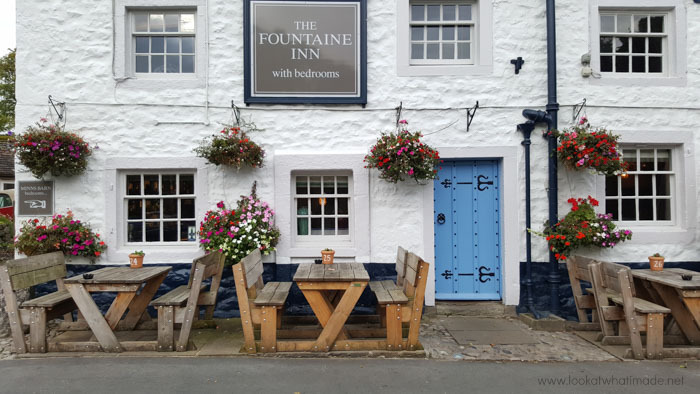 My friend Lynnette and I stayed at a quaint little place near Grassington called The Fountaine Inn. The inn faces onto what I suppose you would call the village green. It has a little stream running through it, and I spent an idyllic half-hour looking at the ducks, reading the different signs, and stroking the moss (yes, really). I love the peace that immediately comes over me when I am near running water. I suspect it has everything to do with my childhood and growing up surrounded by streams. 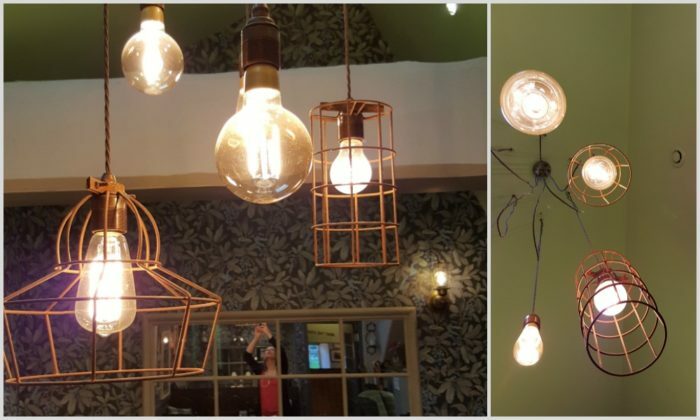 I didn’t take many photos inside the Inn, but I did manage to take some of the lighting, which I LOVE. …and inside! 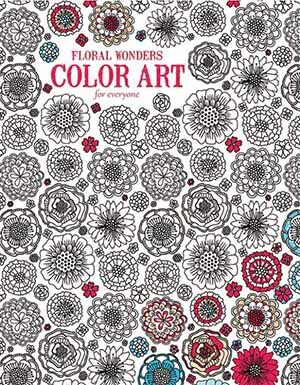 These are just some of the flowers on the flower ‘walls’. 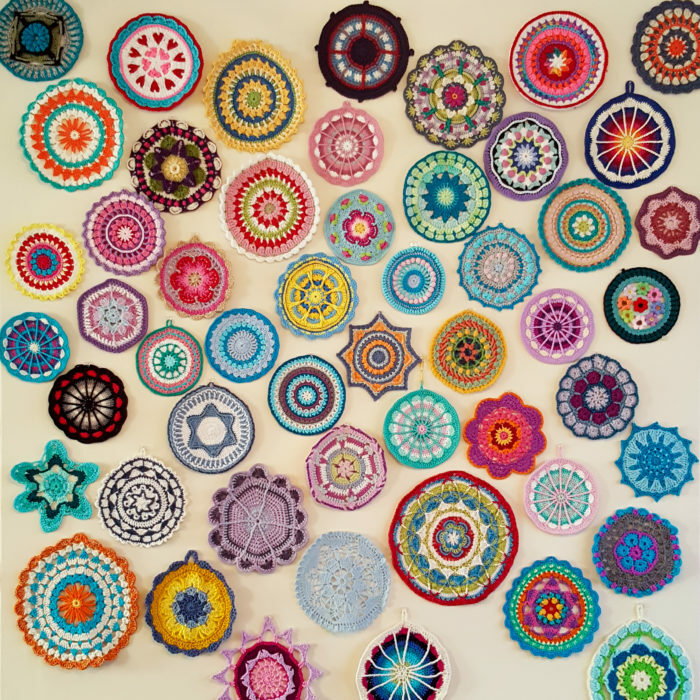 And I had the privilege of seeing some of the mandalas that made up the 2014 Yarndale mandala display. 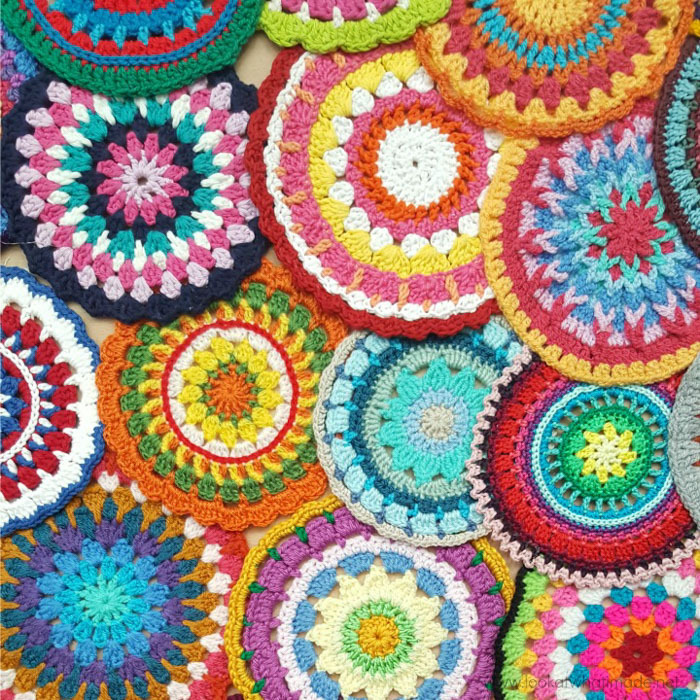 When I shared a photo of it on Facebook last year, expressing my delight at seeing it, a group of very special ladies sent me some mandalas for my very own mandala wall. 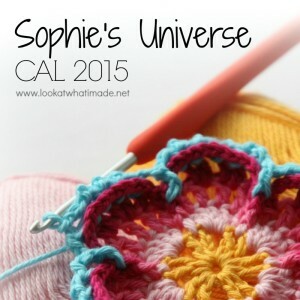 You can read a little bit more about it in HERE in my newsletter. You can also see better photos of some of the mandalas I received HERE on Instagram. The show was incredibly busy. I shouldn’t have been surprised. Everyone told me that it was the busiest show of the year, but being there in person made me realize just HOW popular it was. 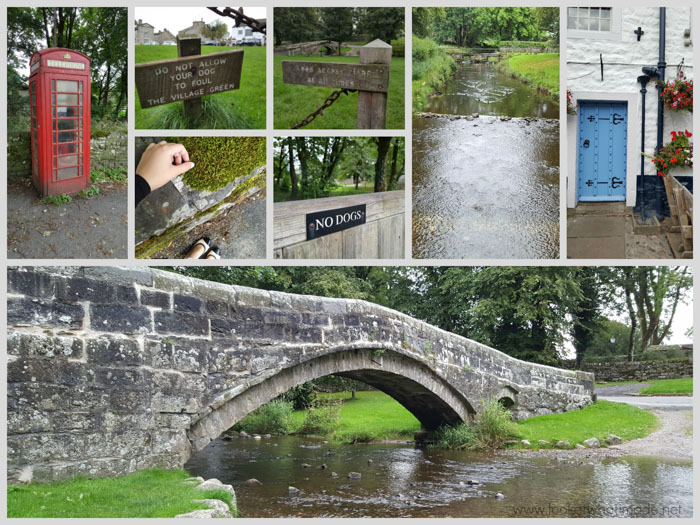 Half-way through the day, my friend Hannah and I took a walk to the station, following the Yarndale path. 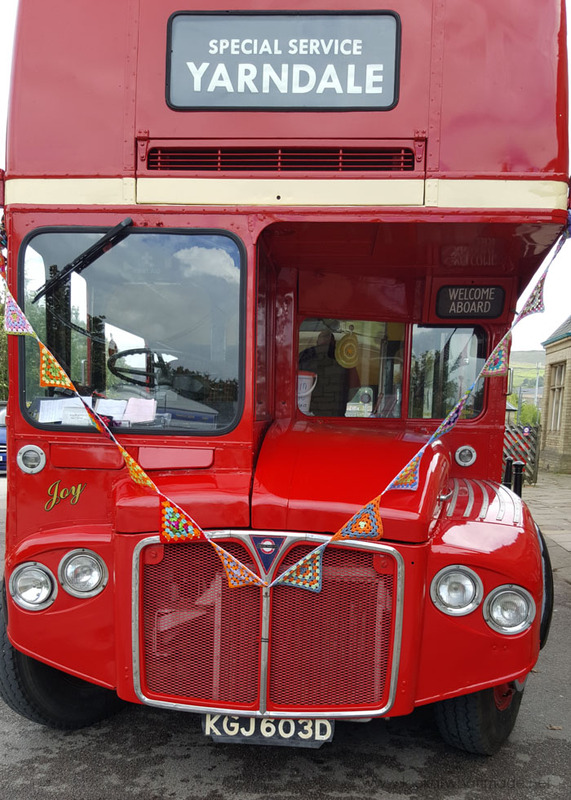 When we go to the station, we took the Yarndale bus back to the show. I should have taken photos of the inside of the bus, which was adorned with mandalas and pompoms. At every show I attend, I make a point of looking for Jenny Barnett‘s stall. 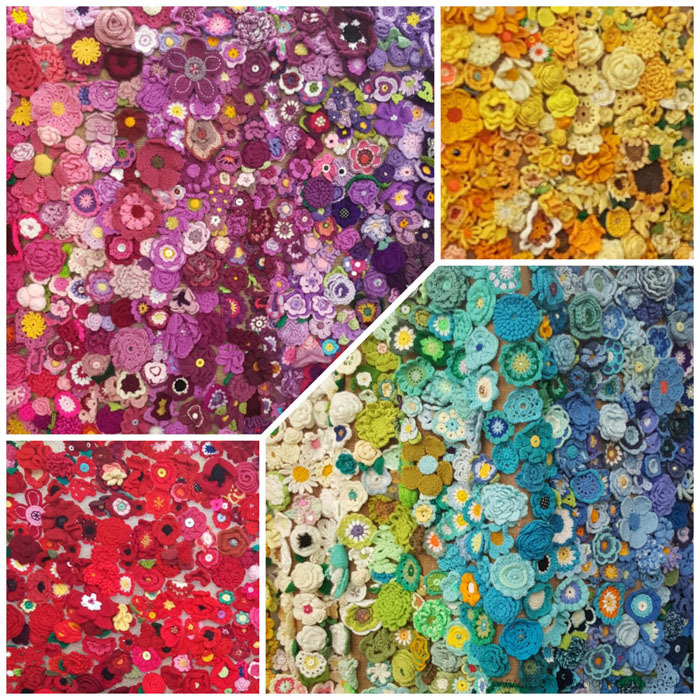 I adore her felt work. Mr Lookatwhatimade and I have very recently acquired three pet rats. I know, I know! Rats, EEEK!! BUT if you could only see them. They are the cutest things in the world, and they have such distinct personalities. 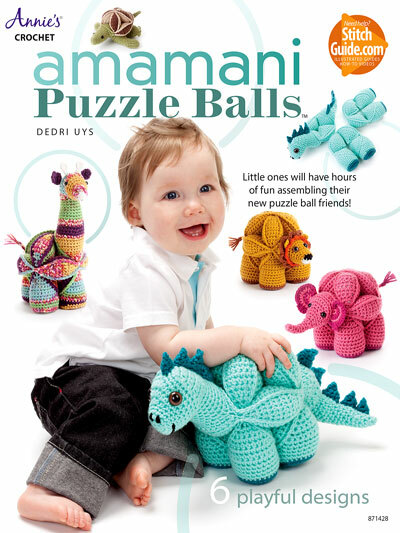 Now all I can think about is getting Jenny to make mini felt versions of them. The yarn pictured below is Gallant, which is probably my favourite of Daisy’s yarns. I used it to make my Lyme Regis Tea Cosy, the pattern for which is currently available in Issue 90 of Inside Crochet and will be available on my website soon. Louise Walker from Sincerely Louise is another face I always seek out. I love her taxidermy heads and she is such a bubbly, inspiring person. 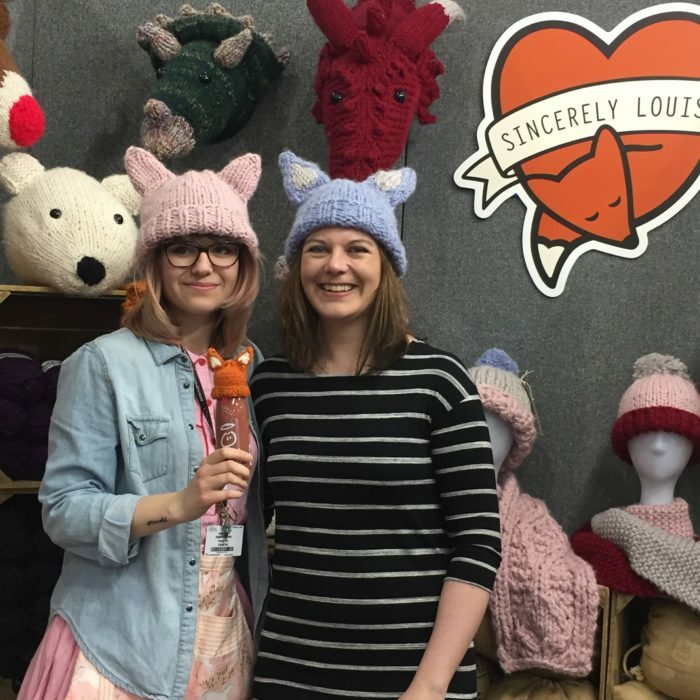 When I caught up with Louise again at the Knitting and Stitching Show a few months ago, I bought a kit for making the blue hat below (not-so-successfully modelled here by yours truly), but I have not cast on even one stitch yet! I still have time before winter comes. 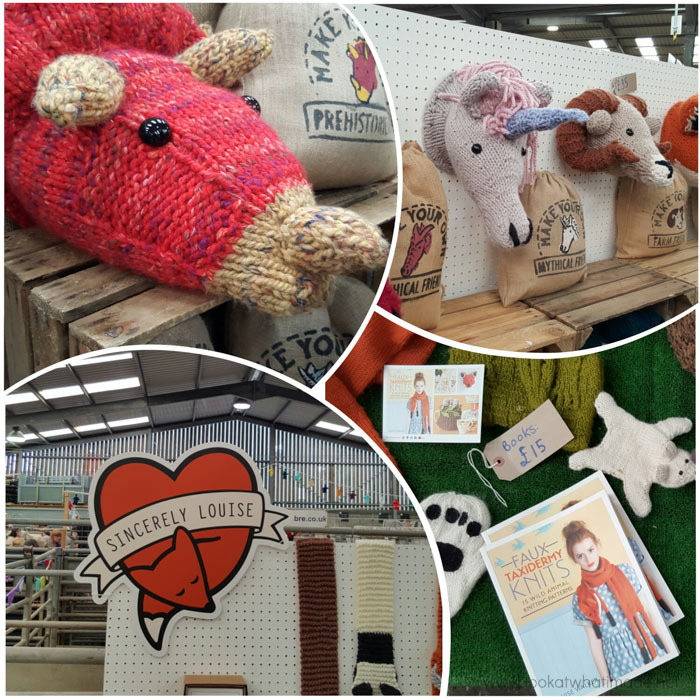 I also managed to visit the Wool Warehouse stall and meet Lucy in person. What a moment! No photos of that, I’m afraid. After that, I made my way to the Spin City stall, which I also always make time for. 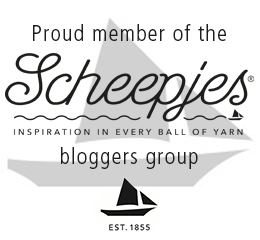 I don’t know if you saw the little video clip of me at the last Scheepjes Bloggers Day. When I chose the dress I am wearing in it, I thought of Louise from Spin City (different Louise to Taxidermy Louse) and how she always wears the most beautiful vintage dresses. Then there is Janie Crow, of course! Her stalls are always so colourful and inspiring!! 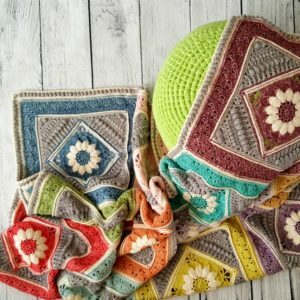 I know she took her Persian Tiles – Eastern Jewels blanket to Yarndale this year, and I am sad that I didn’t get to see it in person. 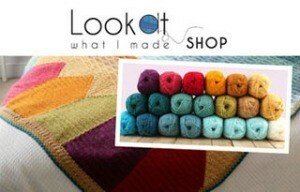 I purchased two skeins of yarn from Triskelion Yarn, two skeins of Socks Yeah!, and two of Marie Wallin’s books. 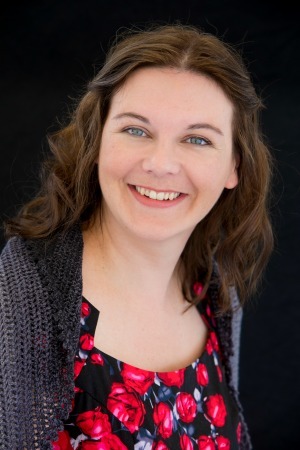 If you are not familiar with Marie’s work, you should definitely check it out. 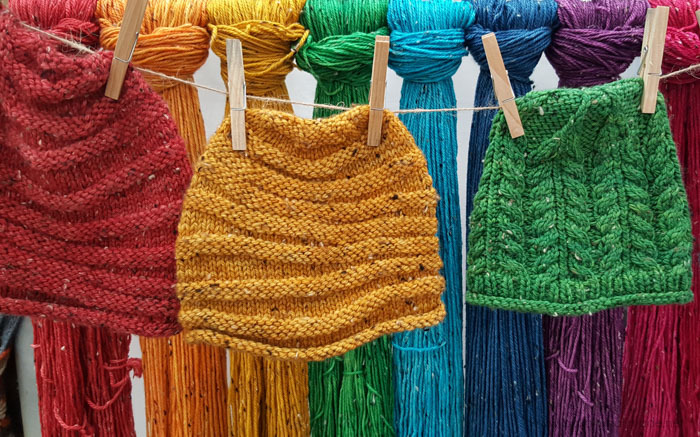 Her garments are a fusion of knitting and crochet, and they are stunning! 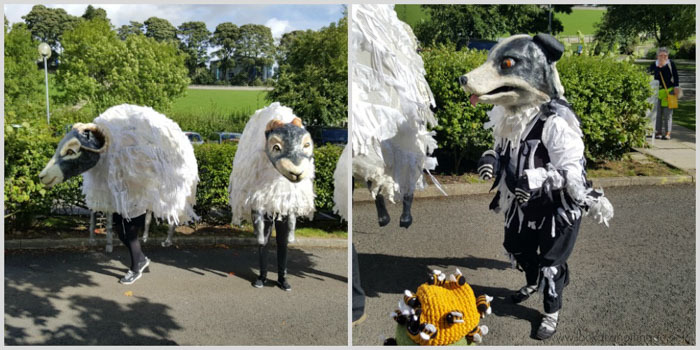 The sheep and sheepdog were very entertaining! I asked one of my friends to take a photo of me standing next to the sheepdog. 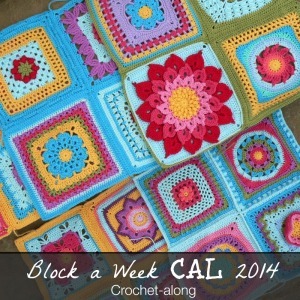 You can see that HERE in my newsletter. On the way back from Yarndale, Lynnette and I went to Betty’s Tea Room in Harrogate, and that was one of the highlights of the trip for me. I’ve been hearing about the Tea Room for the longest time, and it was everything I had hoped it would be and more. Well now. After telling you all about last year, I feel MUCH better about not being able to go this year. For those of you that did go, what was your favourite bit and have you shared any photos so that we can see them? Hi, I enjoyed everything you showed. The pics were very interesting. 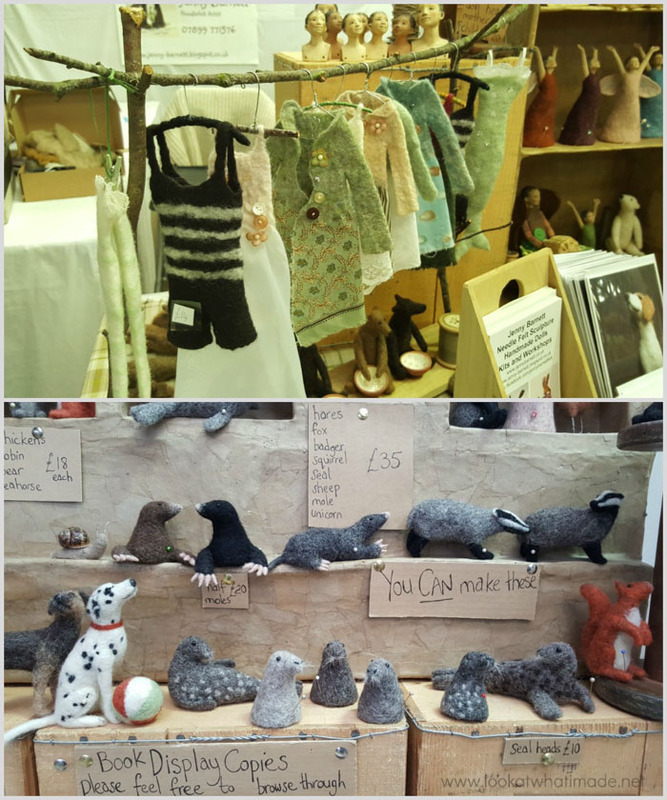 Dedri, I absolutely love all your photos from your trip to Yarndale. They, and your comments, really made me wish I lived in the UK so that I could visit also. 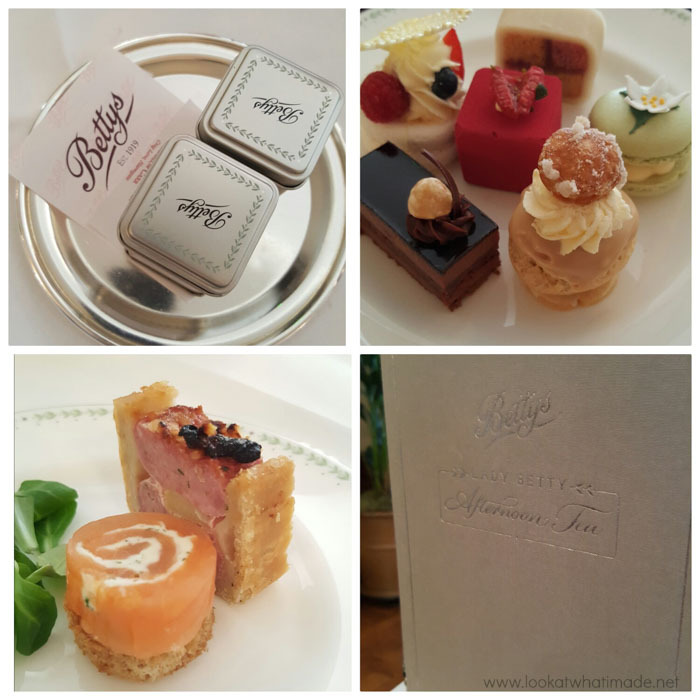 I would love to go to Betty’s Tea Room in Harrogate. 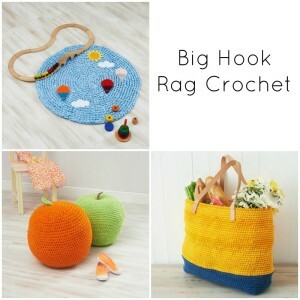 I would sit with my knitting or crocheting (if that is allowed) whilst I enjoyed some of the goodies and a couple of pots of tea and thoroughly enjoy my time there. Australia is such a long way from where you are but, I visited the UK back in 1993 for 5 and a half weeks. I loved my time there. 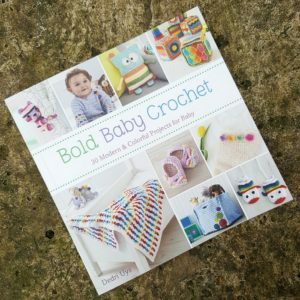 It was before I really got back into knitting and learned to crochet (still doing that as it happens), so of course now I really would like to return to the UK for a visit. Who knows, with my husband retiring shortly, I may get my wish come true.